A main goal of TLG is to provide cultural exchange between Georgians and TLG volunteers. The TLG Volunteers are placed in host families, and amongst communities, which allows them to establish relationships with the locals. Further, all TLGVs co-teach with up to three local English teachers which gives them hands-on experience engaging in cross-cultural teamwork. Service work as a TLG volunteer challenges students to use their resourcefulness, creativity, and interpersonal skills to create positive change for the local community. The entirety of the experience provides students with valuable firsthand insights into the global community at large. TLG is dedicated to fostering an environment in which a student can complement his or her career growth through their service as a TLG volunteer. Although the aim of the program is largely focused on education in Georgia, and specifically teaching the English language, the experience which TLG volunteers gain is interdisciplinary in nature. For example, students can gain first-hand experience learning about history, international relations, language, religion, post-Soviet studies, political systems, development, social work, and more. --That teaching and learning process is carried out in accordance with the standard of foreign language by local foreign language teachers. --Local foreign-language teachers to gain experience in implementing new teaching methods from their foreign volunteer colleagues. --That the community is encouraged to become more tolerant towards other cultures. Mid-term training session for our volunteers will happen from November 3rd. Preparations are underway for the 3 day seminar right now. Due to the late demand, we have decided to create a 2nd group of volunteers for an October start. If you have been considering applying but were worried that the September deadline had already past, you can apply now for October! Hard at work compling contracts and flight details. Send in the applications these next few days if you still wish to be included in the Sept 2016 - June 2017 academic year. We are finalising the latest team of volunteer teachers right now. Learn the language for free! We are busy processing applicants and interviews now. 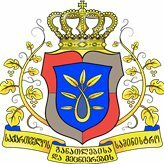 Send in your application as well to be a part of this exciting upcoming academic school year in the country of Georgia. Applications will start to be processed from today onwards. We look forward to hearing from you. New applicants are welcome, there is still time to join us on this adventure of a lifetime. Our final ceremony was held at the Kopala hotel in Tskneti (complete with a swimming pool and bowling alley among other facilities). Volunteers stayed over for two nights. At the actual ceremony, the Deputy Minister of Education, the Director of the National Development Centre and other esteemed guests were in attendance. Our Chinese volunteers also prepared a silde show on their experiences and activities here. Certificates and gifts were handed out in the end. Big thanks to everyone who made it such a successful day.